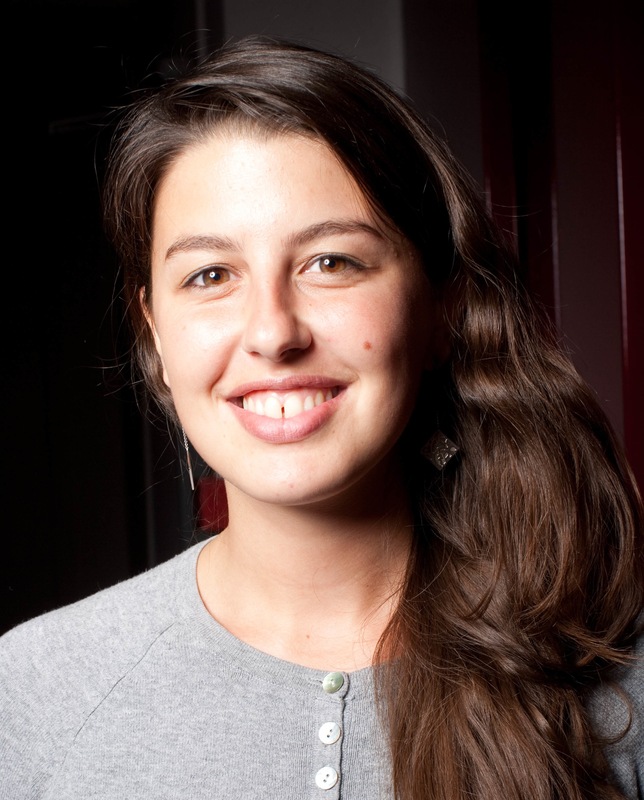 Sophie Cohendet is passionate about innovative environments and has a strong interest for management innovation. She is partner of LearnAssembly, a start-up who help companies to develop their entrepreneurial and digital culture to evolve positively in tomorrow’s world. LearnAssembly implements new pedagogical approachs (MOOCs, SPOC, blending Learning) in large corporations as well as schools and start-ups on topics related to innovation, entrepreneurship and digital. In her job, she has the chance to assist the French private-label biscuit manufacturer Groupe Poult (Freedom Incorporated Company), and was already working with this company as a consultant in Open Innovation prior to LearnAssembly. Innovation management : Are start-ups free Incorporated ? Agility, trust, autonomy, resilience , freedom of speech … have you ever noticed how the lexical field of free inc. borrow these words to the world of start-ups ? If the words seem to be the same, what parallels can we really do between a start-up and a free inc. ? Isn’t a start-up a free inc. in itself ? It is worth taking some time to answer this question. The similarities between start-ups and free inc. are actually numerous. However is the new generation of start-ups’ leaders really innovative in the way they run companies? A free inc. (or free incorporated) can be defined as an organization where a large part of the employees have both freedom and responsibility to take any action they estimate useful for the company (and not an action triggered by a supervisor’s decision). In such organizations, hierarchy is reduced, organization charts are flat, monitoring and reporting have largely disappeared. In France, FAVI, Poult, Chronoflex, Lippi and others are some examples of free inc.
Free inc. rely on the management by trust. These organizations empower the employees and foster their autonomy (employees decide what activities, when, where, with who and how to achieve them). As a way a comparison, a start-up cannot really perform without autonomy and total trust between its employees, especially in its early days. The start-up’s limited resources are likely to influence this behavior, I would not say that autonomy and trust are a desire but rather a necessity. Are all the start-ups casting doubt on the founding principles of modern management? Certainly not. Agility is a term that comes up very often in free inc. These companies put the customer at the center of their operations and work with teams in direct contact with the field (Editor’s note: some Free Incorporated like Favi and Poult are structured by cluster dedicated to specific customers or customers segments: each cluster is composed of all the necessery skills to achieve the job to be done for the customer) . These multi-disciplinary teams are able to detect all the weak signals of their fast-changing environment to innovate quickly and efficiently. Decision chains are reduced thanks to the autonomy given to teams and less hierarchical levels. Agility is also a major concern of start-ups , especially with the introduction of agile methods (lean startup , Scrum , Kanban … ) to develop their flexibility, adaptability and proactiveness . These methods and their success are closely related to the existence of autonomous teams. These teams are able to evolve in the start-up’s uncertain environment and make the company much more resilient. Agility is undoubtedly shared by both start-ups that free inc. Nevertheless, agility is also synonymous of the ability to identify weak signals in a broad competitive environment. In a free inc., executives, free from their monitoring and reporting activities, can spend their time outside the company to identify areas of risks and opportunities in their field and build a powerful ecosystem. Most start-ups are agile in the sense that decisions are made quickly, much faster than in most other companies including those known as free inc. It is always vital to be able to change strategy quickly and it is key to constantly have several possible strategic options. Very few companies, free inc. or not, start-up or not have this ability. The agile company (startup as well as free inc.) is obsessed with finding purpose in the work of each employee . The importance given to topics like the vision, the culture and values in such companies ​​reflects this obsession. In free inc., including those of significant size, these components are the results of a collaborative approach. Actually, it is fundamental to have a common project, a “reason for being ” shared by everyone as well as values ​​that employees can daily experiment and embody. In both cases, the start-up and the free inc. tend to drop pyramidal management models and adopt network configurations so that everyone can find purpose in its work… Easy- you will say – when you are only a handful of employees as is often the case in a start-up ! (Editor’s note: one might add that the main purpose of the start-up is to find its business model, and to scale: building a common vision might be seen more like an enabler than an end in itself). Beyond this flattening of the traditional managerial pyramid, the emphasis is put on the roles, skills and behaviors of each employee rather than on its title. Both the start-up and free inc. are looking for more interdisciplinarity and struggle to decompartmentalize the company. Being a small team does not appear to decrease the difficulties and obstacles ! In a free inc. as well as in a start-up , innovation is considered to be everyone job. Indeed, creativity, freedom of speech, test & learn approach, sharing of ideas are fostered and encouraged in both cases . This approach seems however more difficult in large companies. How to engage and thus give time to all employees including those allocated to production tools without disturbing the company ? It is clear that start-up and free inc. share a common ground … and yet all start-ups are far from adopting innovative managerial models! As the business is growing, old habits come back: the managerial pyramid reappears, processes combined with a command & control approach rise up fairly quickly. An innovative management model is necessarily triggered and backed by the top management to be sustainable…and often that’s not the case in a start-up. The leaders and founders may face difficulties when it comes to share the strategic decisions of ” their baby ” and let the teams decide which actions to take without systematically controlling them. Start-ups’ decision cycles are very short. Strategic decisions can be made with very few collaboration and in a non-transparent way, on the ground that it is key to decide and react quickly to a change… and that collaboration is too time-consuming! Creativity is actually everywhere in a start-up , yet the ability to not kill ideas in the bud and explore multiple options remains quite rare due to the very limited resources of the startup . Finally, I would remind the difficulty that start-ups face in sharing the value created collectively. Pay policies and equity models in a start-up are still not aligned with the models adopted in free inc.
As a conclusion, beyond the same words, start-ups and free inc. are far from being twins and few start-ups will become free inc. ! The current generation of managers and leaders running these start-ups is still relatively conservative, still relying on traditional management methods. The work to be done, particularly for this generation of leaders will be long and intense, and the temptation to adopt pyramidal models when it comes to ‘structure and implement process ” in startup is very strong. We have just begun this work at LearnAssembly and see how the road is still long and bumpy !